Sibenek (pronounced Shibenik) is noted as the first Croatian City, because it was founded by the Croats in the 10th Century. We left Trogir with a 4 hour sail in front of us. There would be a stop in Primosten for lunch and a swim. With the exception of a day near Hvar, we hadn’t seen so many boats sailing and motoring, as we saw between Trogir and Sibenek. We moored stern to on the Sibenek town quay and went wandering around the medival city. As with many towns there are a large number of churches. We really related to the Cathedral of St James. It was beautiful, with a gorgeous statute of Micheal the Archangel over the entry. 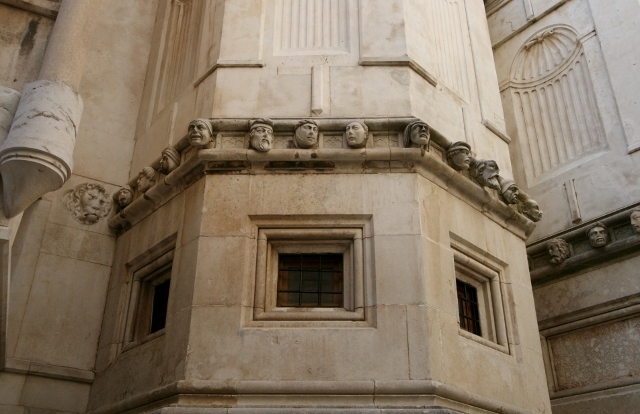 More remarkable are the 74 faces on the Apse, who are said to be the realisation of the common man but ‘My Croatia’ says were the collective faces of the 74 prominent Sibenik citizens who refused to contribute to the building fund. Lesley, James and I climbed to the Monastery garden of St Lawrence, which was very lovely. 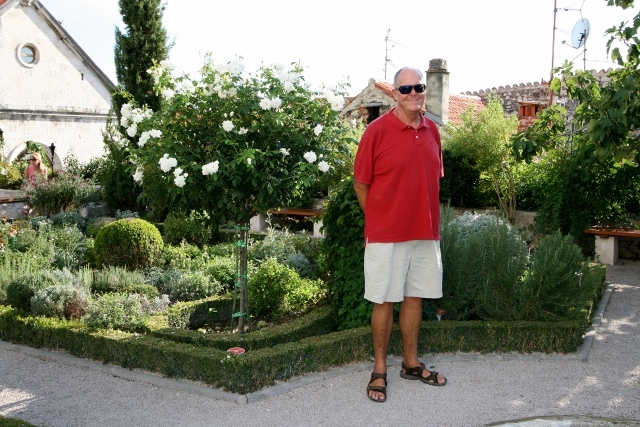 A classic medieval parterre garden, with herbs and medicinal plants in the shape of a cross. It was beautiful and peaceful. We walked through a cemetery to get to St Michael’s Fortress, we had followed a monk in brown robes, but he disappeared and we couldn’t see how he entered the Fortress – the Da Vinci code sprang to mind. Sibenek was heavily bombed in the 1991-95 war, but it is recovering. We were up early for the short trip to Skradin, through the beautiful, narrow channel which winds up the River Krka. 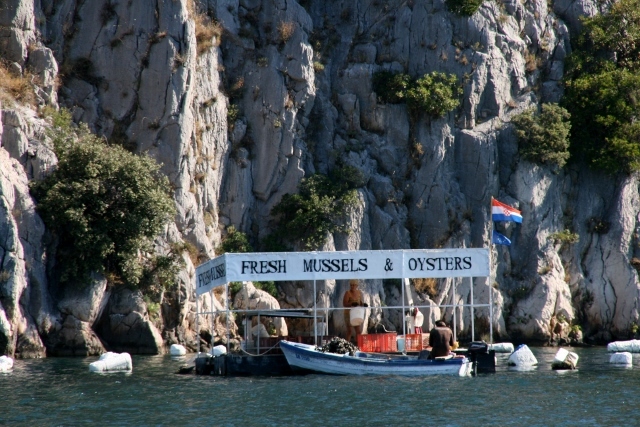 Much of this part of the river is covered in mussel and oyster farms. See the photo for an idea of Eating Local. 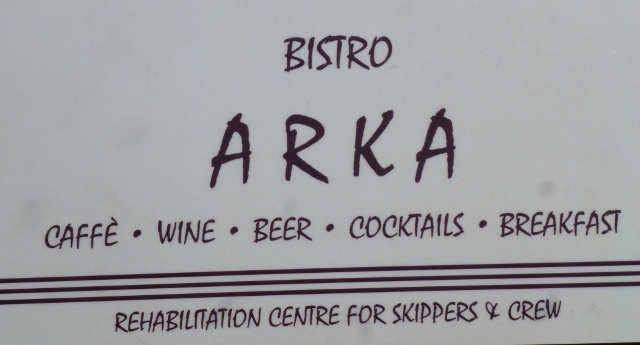 Arriving at Skradin, we were left without a doubt that we were in the right place.